“The history of mankind has been made by hands,” Issey Miyake said in presenting a collection featuring a new flexible and malleable cloth. 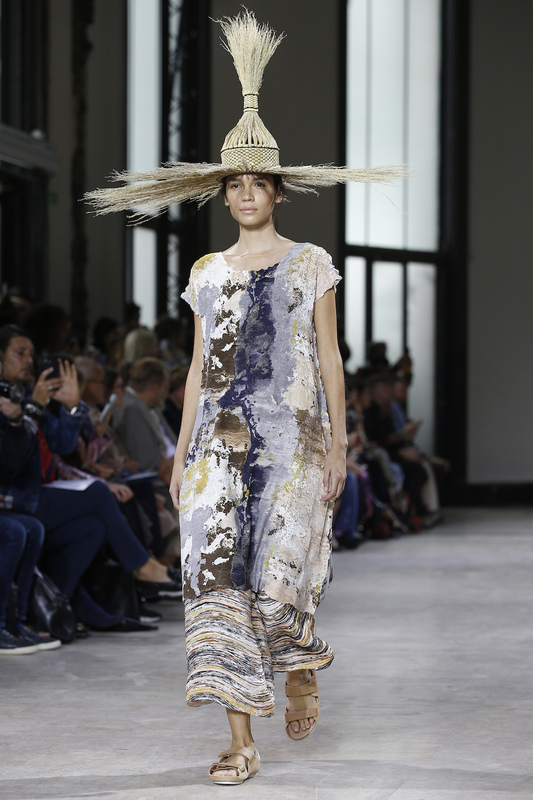 The 31-piece collection began underwhelmingly with a series of gowns reminiscent of tie-dye. But then swathes of billowing fabric in celestial blue and white were used to form tops and skirts with beautifully abstract silhouettes. 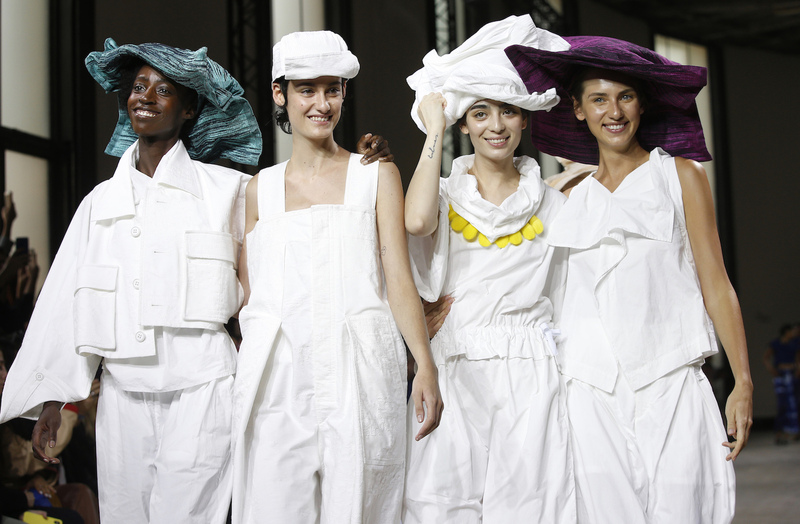 Models in giant hats twisted the rims of the headwear as they smiled and walked by. “Cloth too, seeks freedom,” read the program notes. One scrunched-up gray dress shown toward the end had a wonderful organic feel with veiny stripes. The cloth was a fresh fashion idea by designer Yoshiyuki Miyamae.